No one type of wine fits all roasted fish dishes. When choosing what to pair, start with the type of fish you’re serving. Your lemon-stuffed snapper or breadcrumb-topped flounder need delicate, minerally, unoaked whites that let the pristine flavor of the fish shine through. Seek out wines like Muscadet from France’s Loire Valley or Albariño from Spain, which, no surprise, both come from near the coast. When serving strong-flavored fish, like mackerel and bluefish, you still want plenty of acidity, but you can break out wines with more body and zestier flavors. Try Sauvignon Blanc from New Zealand or an unoaked one from Bordeaux. If the fish is served with umami-rich ingredients, like olives or tomatoes, try a Provençal or Italian rosé. Salmon, swordfish, tuna and the like are probably the most versatile fish to pair with wine. Any of the above wines will work just fine, but you can also try richer whites, like pear- and stone-fruit-scented Pinot Gris from Oregon or perhaps white Burgundy, which is made from Chardonnay. 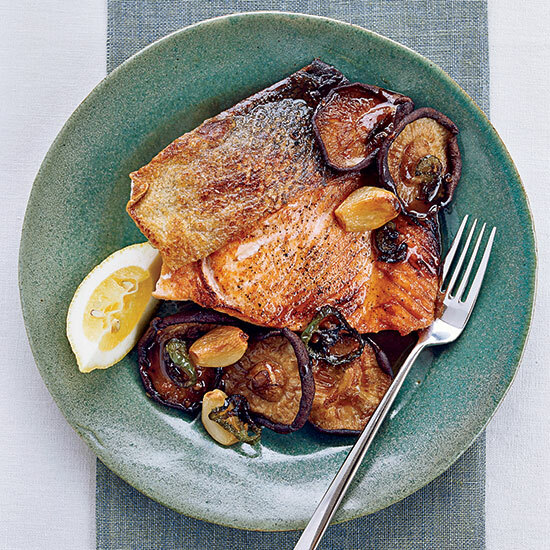 Red wine also becomes a possibility, especially if you’re serving the fish with mushrooms. Just stick to reds that have bright acidity, are light in body and aren’t too tannic, like Pinot Noir from Burgundy or Oregon. Believe it or not, low-tannin styles of Sangiovese-based wines from Italy can work well, too, especially if the dish has intense roasty flavors.